You might be wondering what the average lifespan of a septic tank might be. 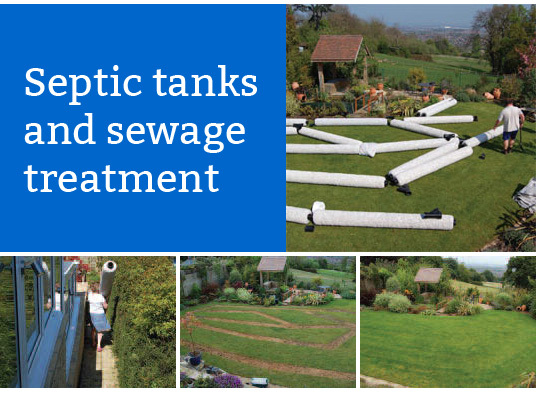 Your septic tanks lifespan can be anything from a few years to well over 40 years. Needless to say, this figure would vary based on a number of factors such as the materials the components are made off, the soil conditions, the amount of trees in the region and most importantly, the maintenance and care for the septic tank. In order to maximize the lifespan of your septic tank, your care and maintenance routine is very important. The frequency with which the tank is poured out is very essential. The septic tank should not get too full before being pumped out. Having this happen frequently would only shorten the lifespan of the tank. You must do your part in caring for the septic tank. You should not drive over it or put heavy items on the tank covering, or plant large trees around the tank. There are some things also that must not be flushed down the tank. Things such hazardous waste, grease, feminine products and other non-biodegradable waste. You should only use septic tank favourable products. You should also have your septic tank inspected regularly as well as repairing any damage immediately. It is best to have an expert carry out all your maintenance operations to prolong the lifespan of your septic tank.